More and more seniors are finding out that Medicare will not cover their stay at the hospital because they were not officially admitted. Instead, they received ‘observation’ care, which is an outpatient service not covered under Medicare. Medicare covers the first 100 days of care for skilled nursing, only for patients who were formally admitted into a hospital for three consecutive days. This is a growing trend that is very costly for senior Medicare recipients. Recent federal data shows a sharp jump in patients receiving ‘observation’ care. In 2011, 1.4 million patients were being labeled under ‘observation,’ compared to the 920,000 in 2006. The trend is apparent with patients who have longer hospital stays lasting more than 48 hours. Observation stays rose from 27,600 in 2006 to 112,000 in 2011. The increased problem appears to be due to a Medicare effort to control costs through a program that audits hospitals for possible overpayments. Once the program identifies improper errors, the hospital must comply with Medicare and must refund all the Medicare payments it received. This has made hospitals more cautious about the admission process and what they think could be challenged; as well, it allows a hospital to receive a lower reimbursement for observation status patients. Since 2011, a long time legal battle has prompted a class action lawsuit from the non-profit Center for Medicare Advocacy (Bagnall v. Sebelius), to force the government to change its policy. It has also encouraged other advocacy groups, healthcare providers, and lawmakers the need to change the law. Momentum to change the law is also (apparent) in Congress, as Senator Sherrod Brown (D-Ohio), is proposing as part of hospital admission process, a legislation that would force Medicare to count all overnight hospital stays; the House of Representatives a similar legislation. By April Medicare is set to apply a new rule that would require doctors to admit people as patients they expect to stay more than two midnights, and to classify anyone else under observation status. However, there is great resistance to delay the new law from a large coalition of healthcare providers and advocacy groups whom argue that it will be very difficult to comply with the new rule. They argue it would arbitrarily reward patients who happen to arrive at the hospital at certain times of day and that it does not alter the three-day rule. Traditional Medicare recipients can be affected by the observation status and are the most vulnerable to the rule. Unlike (patients) that uses Medicare Advantage programs, they are subject to their insurance provider’s plans. Medicare Advantage plans provide comprehensive medical coverage, higher-quality care, better services, and additional benefits, reports The Coalition for Medicare Choices, a national grassroots organization who sole purpose is to protect and improve Medicare Advantage. Traditional Medicaid program covers 100 percent of the first 20 days of a skilled nursing facility, only when the patient meets Medicare's three-day formal admission hospital rule. Patients are responsible for $152 daily co-pays for the remaining 80 days. Otherwise, patients pay full out-of-pocket cost for the skilled nursing facility if they left the hospital under observation status. In New York, the daily cost for a skilled private room averaged $230 in 2013, with cost going up to $344 in New York state, according to a survey conducted by Genworth Financial. The survey data illustrates that an observation status patient would pay $34,440 for a 100-day stay in a skilled facility compared to the $12,160 out-of-pocket cost a formally admitted patient; that is $22,280 more. Hospitals are not required by law to notify patients of their hospital status in many states. The only way seniors may be able to protect themselves from observation status is to constantly ask or have a family member or legal guardian, request to be formally admitted into a hospital. Question: Should the government do more to protect seniors by passing a law that makes hospital disclose the patient’s admission status? Medigap insurance, which reduces consumer out-of-pocket expense, can affect claims at the heart of any plan; says two economists who studied the Medicare Supplement market and analyzed real-world scenarios. The economists believe that simply taxing the Medicare Supplement products could lead to big savings. Economists Marika Cabral of the University of Texas and Neale Mahoney of the University of Chicago agree that Madigap products encourage extra Medicare spending. Marika and Neale analyzed Medicare program spending data in hospital service areas across state borders and have also analyzed different Medicare premiums on each side of the border. The data underwent many variables that could skew comparisons of Medicare Supplement appeals towards the needier elderly, who would also spend heavily even if they only had traditional Medicare. The findings showed an increase of 22 percent in Medicare spending or about $1400 per year, a 24% increase in hospitalization, with a 34% increase in physician service fee. The economist estimate a simple 15% Med Supp premium tax could generate $13 billion per year in spending cuts and tax revenue, and that a "Pigouvian tax,” could generate $32 billion in yearly savings. The research did not focus on the Medigaps effects to patients' health, care, or product satisfaction; however, they found no noticeable effect on the likelihood that patients would get genuinely urgent procedures with or without the use of Medigap. The economists make their research available on a copyrighted working paper on the National Bureau of Economic Research website. Question: Do you think a Medigap premium tax will save the government money in the long run and keep the quality and the satisfaction of care seniors receive high? A new policy that informs the public how much money Medicare pays individual doctors may be underway and could violate physicians' privacy rights if poorly handled, warns the American Medical Association. The Department of Health and Human Services (HHS) has announced that it will start responding to Freedom of Information Act requests for physician-payment data. Government officials will be using a ‘balancing test’ to determine who gets access to the information, and not guaranteeing the data to all filed request. This has prompted groups to say the administration needs to do much more in making payment data broadly accessible and transparent. In addition, the Center for Medicare & Medicaid will begin “aggregating” data sets about Medicare physician services, 60 days after the new policy appears in the Federal Register. Disclosure of doctor payment data “from government healthcare programs must be balanced against the confidentiality and personal privacy interests of physicians and patients who may be unfairly impacted by disclosures” says Dr. Ardis Dee Hoven, president of the AMA, who has long opposed the release of data. Over the past 3 decades, Medicare physician-payment data has been highly sought by media groups, government watchdogs and private organizations. They argue that the disclosure of information informs consumers of a doctor’s competence, performance, and highlights any possible abuse or fraud. The release of information should only be done in the efforts of “improving the quality of healthcare services and with appropriate safeguards,” Hoven said. Critics against disclosure argue that the release of information would reveal proprietary details the general public does not need to know, and that inaccurate data presentation would damage a doctor’s reputation. In spite of responding to Freedom of Information Act requests for physician-payment data, the government is not planning to put the entire Medicare physician-payment data online in a searchable format. It will require individuals seeking data to submit specific request under the FOIA’s. Any information that gets released will be filtered and judged by its worthiness, and will take physicians privacy concerns into consideration. On May 2013 a 1979 federal injunction ruling, that barred the release of Medicare payment data and identified doctor’s specifics, was dissolved by U.S. District Judge Marcia Morales Howard in Jacksonville, Fla., ruling on the grounds that physicians' privacy concerns no longer outweighed the public interest. Following the ruling, CMS followed suit to and decided to release physician-payment data, citing disclosure under the Freedom of Information Act. Disclosure of the data will be determined on the outcome of the “balancing test,” as a result every case will be treated as an individual basis (FR Doc. 2014-00808). Question: Will disclosing physician fees help stop Medicare fraud and save money in the long run or will it have an adverse effect and persuade more physicians to stop accepting new Medicare patients? Big plans to change the way how the private Medicare sector pays brokers and agents are underway and set to appear in the Federal Register on Friday. The Centers for Medicare & Medicaid Services (CMS), an arm of the U.S. Department of Health and Human Services (HHS), has included the compensation proposals changes in a batch of regulations that deals with the governing rules of the Medicare wellness program, its incentives and the provisions meant to prevent and attack fraud. The addendum targets current compensation practices of brokers and agents who sell Medicare Advantage plans -- commercial, CMS-subsidized plans that replace traditional Medicare coverage -- and Medicare Part D prescription drug plans. A yearly “fair market value” limit for producer compensation is what CMS wants, states the proposed regulations. In 2014, $400 per year may be considered the fair market value. A plan possibly paying a first year commission that was any amount less than or equal to the fair market value limit, officials say. Commission increase could reach up to 35 percent of the fair market value limit in the following calendar year and the subsequent years. For instance, if in 2014, a producer sold a plan and collected in commission equal to $400, or collected 100% of fair market value, and if the fair market value for 2015 rose to $500, the 2015 year commission would be $175 or 35% of $500 and not 35% of $400 fair market value of previous year, officials say. CMS goal is to simplify the commission calculations and level out the playing field. The way to do this is by setting all renewal commission to 35% of the fair market value limit, officials say. To further even out the field, official want to cap out referrals fees at $100 for producers; which, CMS recommended a $100 cap in a memo in 2011. This recommendation is due to the different ways carriers handle referrals, officials say. Question: Will overhauling the Medicare broker compensation even out the playing field, or will it hurt the industry and discourage top producers from reaching or exceeding their goals? - Med Supp Underwritting Guidelines. - Med Supp State Availabilty Listing. 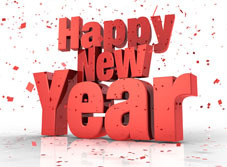 Happy New Years from Precision Senior Marketing; It is that time of year to start off with a clean slate. If you have not already done so, take the time to reflect on 2013 and take note of the hurdles and successes that made the business year memorable. Make this the perfect time set new goals. Look at the BIG picture, be considerate and write down what is important to you, what you want to achieve, and the timeframe you want to achieve the goal(s). Most importantly, if you want to succeed, focus and follow through. Motivation is key to the success of reaching your goals. The goals you set should be important and in high value to you. If you set goals that are irrelevant to or of little interest, chances are there will be little or no devotion to achieving your goals. To maximize your success for goal setting, make sure you write the reason why it's valuable and important to you. "SMART goals" are powerful goals; these goals designed to be Specific, Measurable, Attainable, Relevant, and Time Bound. Make your goals clear and well defined. Avoid any vague or generalized goal setting that provide insufficient direction. Your goals should pave the way and make it as easy from point A to point B. Define precise amounts and descriptive measures. This includes, cost, quantity, dates, and so on. This is very helpful in keeping measure of your goals and degree of success. Goals should fall within the objective and be attainable within the organization members and influence. Resist setting goals to impossible, this may hinder confidence, or too easy to attain. Remember, set challenging yet attainable goals that gives a sense of accomplishment and satisfaction, allowing you to “raise the bar” within the organization. Make sure these goals are in-line with your life and career objectives. By keeping them aligned you'll be more focus to get ahead and do the things that you want. Time driven goals should have a specific completion date or specific action date to go to the next phase of the goal. Incorporate dates, milestones and timeframes that are relevant to the ultimate goal. By following through, the overall achievement will come much sooner. Once you have the goals written, post them in a visible place where you can be constantly reminded of what is intended to do. Keep the visual on a wall, desk, a screensaver, anywhere it can be a constant reminder. Actions plans are your smaller steps or smaller goals the lead to the ultimate goal. Think of them as the steps of a ladder. By writing down a series of steps and crossing those out as you reach your action goals; you’ll get a better visual progression of your hard work and efforts. It can’t be over emphasized, follow through the entire course. Set reminders and check periodically to see where you stand in relation to your goals. Review your goals and make the necessary adjustments to stay on course. Don’t get stressed burning your energy on the outcome. Instead focus on the smaller steps (action plan) that will get you to all the way to your final goal. Remember, without goals, there is no plan…there is no focus...there is no purpose to succeed. Question:Do you feel the SMART Goal steps may help your organization layout a better goal plan for 2014, if so, let us know if the full list or partial section will be utilize?